Money in the Garage: Don't tell North Korea, but The Interview movie poster will make you rich! 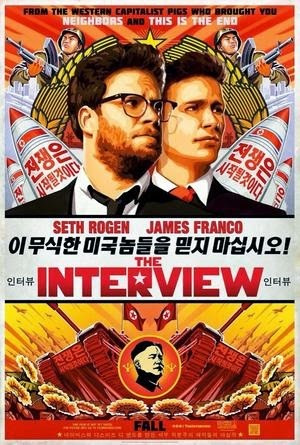 Don't tell North Korea, but The Interview movie poster will make you rich! As has been reported all over the news media, Sony Pictures completely surrendered and yanked the movie, "The Interview" for release on Christmas day. In addition, all movie lobby posters and advertising have been taken down. Naturally, some shrewd eBay sellers have taken full advantage of this media event. They've recognized a huge buying frenzy has been created for anything associated with this controversial movie. Click on The Interview movie poster to see how much money one eBay seller recently made. The movie poster now brings big bucks! Wow! Just a few weeks ago, this was your average, run-of-the-mill movie poster...now it's gold! This trend is no fluke. Checking other recently closed auctions, many Interview movie posters are now selling for $300 dollars a piece! If you know anyone who works in a local movie theatre, you'd be wise to ask them for a few of these. It might also be smart to take a peek in the trash dumpsters located behind your local movie theatre! As demonstrated in some of my recent blog pieces, it wouldn't be the first time money was thrown in the trash! If you happen to score a Interview movie poster, let us know how you do. Oh and one more thing...change your computer passwords...often!